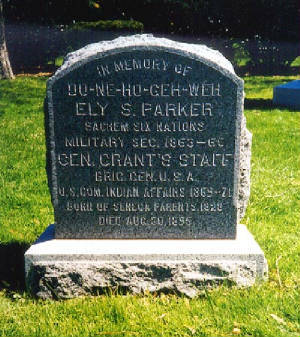 Parker was educated as a lawyer, but being an Indian had been unable to sit before the bar, as he was not a citizen. He latter became an engineer for the U.S. Treasury Dept. and was sent to Galena, Illinois to superintend the construction of the customhouse. In Galena, Parker met Grant, an obscure ex army Captain working as a clerk in his brother’s store. 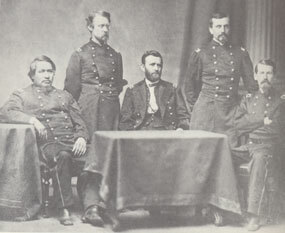 The two men became friends and during the war Grant made a position for the able Parker on his staff. At the time of the surrender Parker was a Lieutenant Colonel, but received the rank of Brevet Brigadier General after the War.